A source of light, including both natural and artificial processes, and devices that emit light. In this list, light is considered to be electromagnetic radiation that is visible to the human eye. A solar simulator (also called artificial sun) is a device that provides illumination approximating natural sunlight. The purpose of the solar simulator is to provide a controllable indoor test facility under laboratory conditions, used for the testing of solar cells, sun screen, plastics, and other materials and devices. 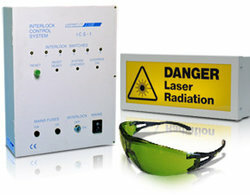 Our aim is to make the application of laser safety as easy as possible for all of our customers. 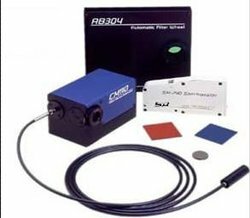 We offer an extremely wide range of laser safety products laser goggles, laser safety cabins, laser castle, laser blocking curtains, screens and roller blinds. Optics usually describes the behavior of visible, ultraviolet, and infrared light. Because light is an electromagnetic wave. Other forms of electromagnetic radiation such as X-rays, microwaves, and radio waves exhibit similar properties. Nonlinear optics (NLO) is the branch of optics that describes the behavior of light in nonlinear media, that is, media in which the dielectric polarization P responds nonlinearly to the electric field E of the light. 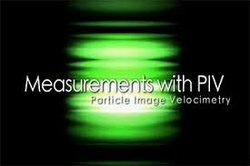 Spectroscopy is the study of the interaction between matter and electromagnetic radiation. Spectroscopic data is often represented by a spectrum, a plot of the response of interest as a function of wavelength or frequency. 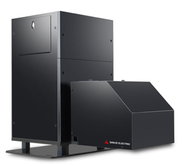 A monochromator is an optical device that transmits a mechanically selectable narrow band of wavelengths of light or other radiation chosen from a wider range of wavelengths available at the input. 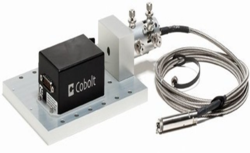 Fiber-Optic Components are optical devices that are coupled to optical fiber or an optical fiber bulkhead connector. 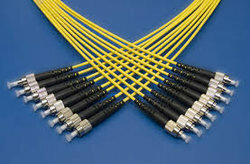 They can be used to split, combine, multiplex, couple, isolate, circulate, delay, or switch light in optical fibers. 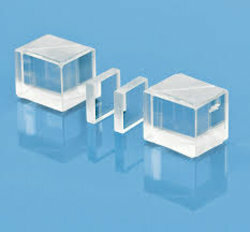 Photon counting is a technique in which individual photons are counted using some single-photon detector (SPD). 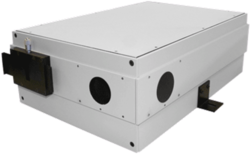 The counting efficiency is determined by the quantum efficiency and any electronic losses that are present in the system. 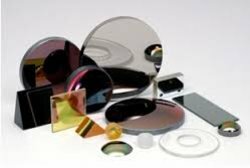 Semiconductor devices are electronic components that exploit the electronic properties of semiconductor materials, principally silicon, germanium, and gallium arsenide, as well as organic semiconductors.